The message went out to backers yesterday, along with news that a playable… chunk of Pathologic will soon be available to said backers as an appetite-whetter. This little piece will apparently be a standalone prequel of sorts, thus not spoiling any of the actual game content or creating a consistency hazard within the overall narrative. Ice-Pick Lodge insists the problem isn’t that it bit off more than it could chew with the remake; rather, they’re saying that stretch goals and the overall evolution of the project — plus technical challenges — caused this delay. Of course a change in the overall evolution of the project, and the addition of stretch goals after the Kickstarter was done, both represent a kind of ambition on the part of the developer, and being over-ambitious is essentially the same thing as biting off more than you can chew. Regardless of what happened, the fact is Pathologic would have been an intensely complicated game to remake under any circumstances, and Ice-Pick Lodge made the decision long ago that a pure remake was not what this project was going to be about. They made the right decision there. 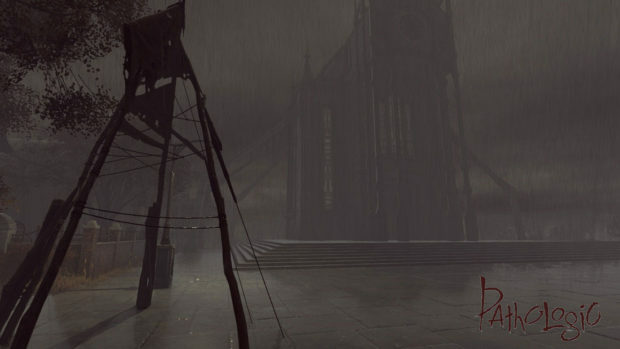 Pathologic is one of the very few games that people will still be talking about in a hundred years; what remains to be seen is whether people will be talking about the original 2005 release, or the HD Remaster released last October, or the remake that Ice-Pick is now developing. Given the honored status of the 2005 edition, one might argue that the smart move is to remain faithful to it, with a few adjustments here and there in the interest of accessibility. The thing is, Pathologic’s strength as an experience lies in series of surprise twists that arrive in the latter half of the game. The vast majority of players never made it that far, because Pathologic 2005 was both incomprehensible and ruinously difficult to play. The game, having found success in Russia, was quickly machine translated and popped into a box for Western release. The result was a word-salad that only a Google Translate could produce. Simply understanding what you were supposed to do and how you were supposed to do it was a matter of trial and error. In a game that intentionally broke the fourth wall and often went out of its way to deceive the player, the absence of linguistic clarity took what could have been a fascinating challenge and made it into a maddening slog. The other issue — that it was hard — was due in part to that bad translation, but also to the fact that… well… Pathologic was hard. It was meant to be hard. The then first-time developers at Ice-Pick Lodge made a number of rookie mistakes in their design, though, and that exacerbated the hardness to an almost infuriating degree. Combat, for example, was simply not fun; it “worked,” technically, and strictly speaking it wasn’t a major part of the game, but when it did become necessary combat was a matter of save-try-reload-try again until all enjoyment and tension had drained out of the process. The translation problem was fixed with the HD Remaster. It’s interesting how much more accessible Pathologic is when the people are saying things you can actually understand. The storage we share are bones, but mine are affirmed of creation by employee and they have children. Effort of inequal thought? We both have skeletons in our closets. Mine are the skeletons of my workers, yes. Theirs are the bones of children. Which is worse? Suddenly you feel like at least you’re getting the input you need to make informed decisions, y’know? The hi-res textures also helped the HD Remaster, but nothing else was changed. The combat is still horrible; the parts that never worked still don’t work. Ice-Pick Lodge was clear about that when they released it, so they bear no blame for it. 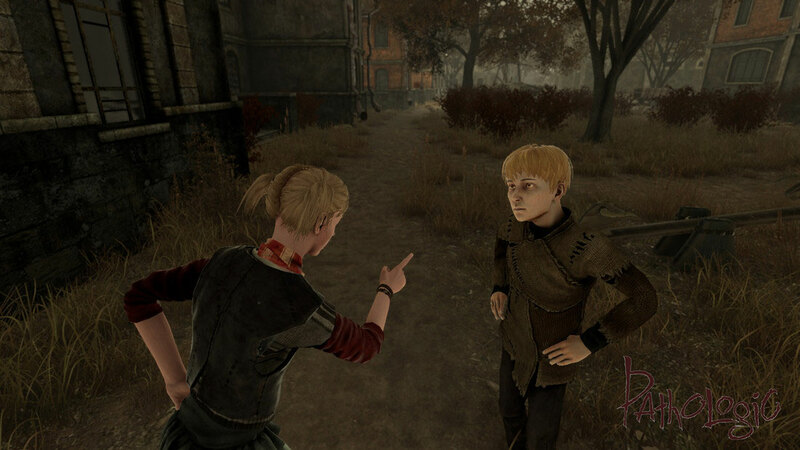 But the HD Remaster is not the “idealized” Pathologic we hope for; it’s more of a tide-over. And either way, to really “get” why Pathologic has such, *ahem* pathological disciples, you need to have either finished the game yourself or learned about the ending in a very specific way. Just telling a person how Pathologic ends is sort of like explaining the twist at the end of The Sixth Sense to someone who hasn’t seen it. They’re like… “okay.” Being told something, no matter how shocking it is, doesn’t usually have the same impact as experiencing it. That’s doubly true in the case of Pathologic, where the entire weight of the reveal depends on the manner in which it’s presented. The Sixth Sense would have worked as a game, but Pathologic wouldn’t work as a movie. It’s not enough to see or be shown in Pathologic. You have to be part of it. There are a couple ways to do this beyond actually playing the game (something I could not recommend until the HD Remaster appeared), each of them — including playing through — all introduce the same fundamental problem. 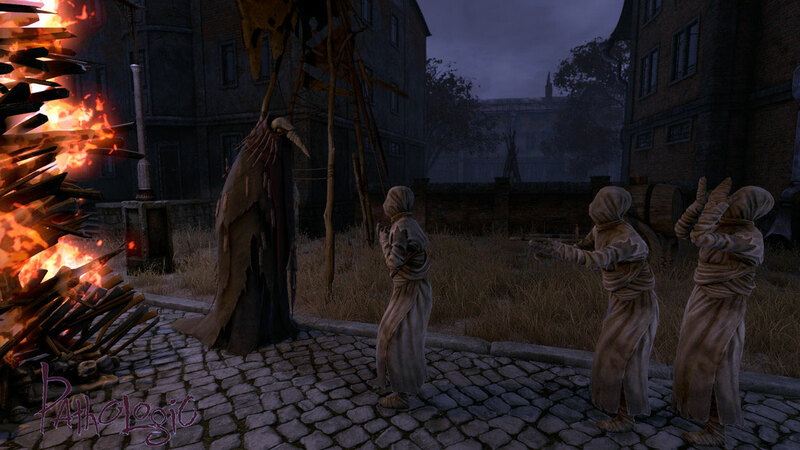 Once you know the secrets of Pathologic, they will not affect you again. So simply remaking it may result in a fine game, but it won’t be something people talk about for a hundred years. 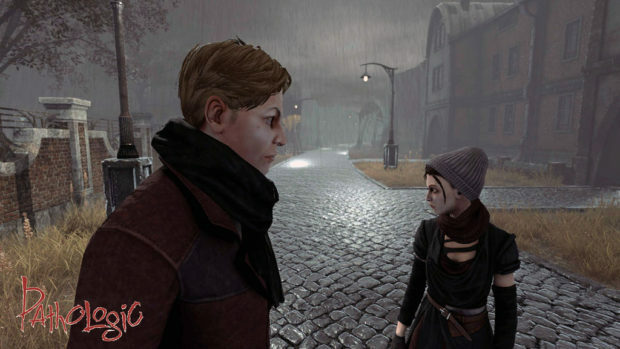 My feeling is that Ice-Pick Lodge is very proud of the original Pathologic despite the flaws, and that they’d really like to recreate its intensity and power with the remake… but I also feel they understand perfectly well that they’re going to have to reinvent the game pretty aggressively in order to accomplish that. I tend to think they’re making the right decision, even though it means we’re not going to see the new Pathologic until late 2017 at the earliest. I only finished Pathologic 2005 once, and finishing it once doesn’t guarantee you’ll ever be able to finish it again. I’ve been playing the HD Remaster on and off since it came out and I’ve never made it very far, partly because I’m trying to get an ending slightly better than the one I originally got. Once I achieve that, there’s still two other characters to play through the game as, and their perspective on what’s happening is entirely different from that of the “starting” character. For nine dollars I could theoretically get a lot of play out of the HD Remaster. It’s another reason why I’m okay with the fact that the new Pathologic is going to be a very different animal from the old one… by the time the remake comes out, chances are I’ll want something more different than similar. So the short version is: Pathologic is delayed until Fall 2017 and — speaking as a person who knows a little about the industry — I’d be shocked if it’s not delayed again beyond that. Early 2018 is much more likely, by which time another delay might become plausible depending on whether a new version of the Unity engine comes out, and what features it has. The remake is clearly going to happen. I’d be amazed at this point if Ice-Pick Lodge just announced that the whole project had fallen apart. They have funding beyond the Kickstarter (to the tune of millions of dollars) and unlike some of their previous work, they’ve been timely and candid about the process and how it’s going. They’re also committed to doing right by Pathologic. At worst, to not besmirching the original’s memory; at best, to creating something that is definitive in a way that realizes (or even improves upon) the shocking revelations hidden in the original’s endgame. For this I say they deserve the extra time. I can’t say I wasn’t disappointed when I opened my Kickstarter email from Ice-Pick, but in the end, I’m still quite optimistic. I went for the lowest tier that got me the game, and I haven’t bought the HD remake, so I’m kind of SOL for playable Pathologic before the new release date. However, Ice Pick’s kickstarter updates are probably some of the most entertaining and insightful that I’ve come across, so I really can’t complain about their transparency. And it’s certainly clear they want to get it right. Up to this point all of their games have sort of functioned like giant shambling machines teetering at any moment on the brink of collapsing entirely spitting spinning gears all over your desktop. Knock Knock was probably the most polished, but certainly not conventional (and I’m a scaredy cat so I couldn’t get very far). They’re still one of my favorite studios, though, simply because I can’t think of anyone else making remotely as interesting of games. 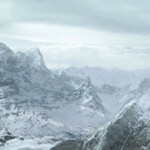 I’d know that avatar anywhere… hey Lokimotive, long time no see! My view matches yours almost exactly. I like Ice-Pick Lodge, but I want to like them even more, and so far they haven’t been able to quite deliver what they need to deliver for that to happen. Knock-Knock came close; I still play it. The thing is, I think what most Ice-Pick fans really want — have always wanted — is a remake of Pathologic. And since Ice-Pick seems intensely aware of this, I trust they’re taking these steps to try and do us proud by what they finally produce. Certainly the idea of Pathologic made by a veteran company with actual resources is enough to quiver one’s nether parts with anticipation. Speaking of which, Pathologic Classic HD is $12.99 on Steam and worth the investment if you’re interested. You will be putting yourself through all the flaws of Vanilla Pathologic again, from the obsessive dumpster-diving to the horrific combat, but this time around it’s understandable and even looks nice thanks to the upped textures. So long as you go in understanding that you’re not getting a new game, you shouldn’t be disappointed… unless you were disappointed by the original. I’m keen to see how all this shakes out because I’d very much like to play Pathologic but always been deterred by the ‘word salad’ translation, bugs and wonk. The HD version was tempting but I’d rather just wait for the dust to settle after the remake is released and then decide which one I should play for the first time. I’d like it to be as new to me as possible! Oh and hey loki! It’s been a while since we saw you round these parts. I have the HD version so I’ll likely give it a whirl soon. I’ve only read a little of what the developers had to say about the old game and such, but it’s so endearing it makes rooting for them easy. The delay, while painful, is, also, I believe for the best as, as Steerpike eloquently explains in this writeup, Icepick Lodge really have to reinvent the game rather than just remake it. And, shockingly, the backer updates they keep sending are so well written, funny and insightful that I believe they will be sufficient to keep me entertained until the game is finally out. @Meho Recently, that’s what I find myself doing much more often than playing games – foruming, waiting, reading updates… A kind of living in a dream!? The backer updates are wonderful. Sometimes they’re surrealistic ramblings, sometimes very insightful essays on the nuances of making games, sometimes they’re in screenplay format. They almost always include concept art and shots from the game in progress. One of the things I enjoy the most — this is ironic since it’s Ice-Pick Lodge we’re talking about — is how thoughtfully they’ve discussed the challenges of localization. Most of the staff speaks some English, but they’ve added a native Russian who studied English specifically and speaks it perfectly, right down to colloquialisms. I admit I don’t agree with all the choices they’ve made when it comes to the translation, but their explanations and thought processes are interesting to read. The decision to change an important entity name from “Authority” to “The Powers that Be,” for example; that latter phrase is usually used ironically in English and doesn’t have the intended impact. They hesitated to use the Authority, however, because of the connotations that word gained in Eastern Europe during the Soviet era. In other instances — like changing Adherents to Bound — I just think the former sounds better and the definition still works. But it’s their game and they’re not making these choices carelessly. It’s really engaging to see how much thought and discussion goes into it. They really, really want to do right by this game and by their backers. Yes, they seem to be good people and I have been buying all their games after Pathologic by default, regardless of the thematic orientation or genre. And they have been VASTLY divergent. Void, though, is yet another extremely challenging game of theirs in terms of mechanics AND philosophy. Perhaps they can remake that next.